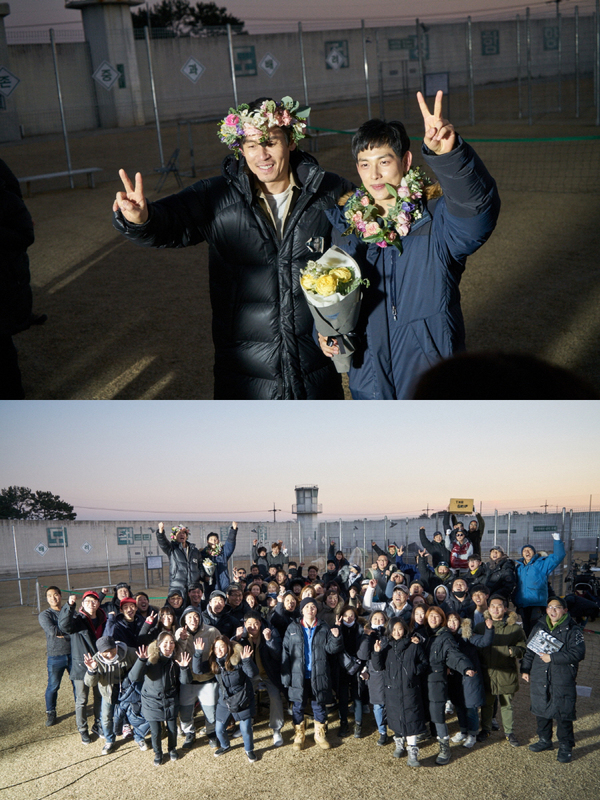 Filming for upcoming movie “Robber” (literal title), starring Sol Kyung-Gu & Siwan, finished December 10, 2016. Shooting took 4 months to complete. The photos above are from the last day of filming for the movie. Story for “Robber” takes place in prison and follows the aspirations of an inmate played by Sol Kyung-Gu to become the most powerful prisoner. Siwan plays a new inmate who doesn’t answer to anyone. Movie is written and directed by Byun Sung-Hyun. “Robber” will be released sometime next year in South Korea.